NEW YORK — An FBI email states that the “trigger” for CNN to first break the story revealing salacious and unsubstantiated claims made inside the infamous anti-Trump dossier was the leaking of ex-FBI Director James Comey’s official briefing on the dossier claims to President Donald Trump. CNN on January 10, 2017 was first to report leaked information that the contents of the dossier were presented during classified briefings one week earlier to Trump and then-President Barack Obama. Prior to CNN’s report leaking the briefings, which was picked up by news agencies worldwide, the contents of the dossier had been circulating among news media outlets, but the sensational claims were largely considered too risky to publish. Questions have been raised on the need to include the dossier charges in the classified briefings, which were reportedly conducted by Comey, CIA Director John Brennan, Director of National Intelligence James Clapper and NSA Director Admiral Mike Rogers. Comey reportedly stayed in the room alone with Trump afterwards to orally brief the incoming president on the most salacious allegations. Trump was not told at the briefing, which took place at Trump Tower in New York, that the dossier had been paid for by Trump’s primary political opponents, namely Hillary Clinton’s 2016 presidential campaign and the Democratic National Committee (DNC) via the Perkin Coie law firm. The FBI email in question evidences FBI awareness of CNN’s plans to release the story, and suggests an FBI official may have attempted to shape the coverage. The email was read aloud during the House Judiciary and House Oversight Committees’ grilling of Comey ten days ago. Two sentences of the same email were referenced in a May letter from Sen. Ron Johnson (R-Wisc. ), chairman of the Senator’s Homeland Security and Governmental Affairs Committee, to FBI Director Christopher Wray seeking more information from the agency. But new sections of the email were disclosed during the latest House session with Comey. Rep. Jim Jordan (R-OH) read from the letter and asked Comey questions about the missive. The email referenced Mike Kortan, who retired earlier this year as FBI assistant director for public affairs. “According to Kortan, CNN is close to going forward with the sensitive story,” the email states, according to Jordan’s reading. “CNN states that they believe the pressure has built and is unavoidable,” McCabe’s email continues, referencing CNN’s plans to release a story on the dossier claims. “Mike relates that he will try to skirt the most controversial stuff, focus on the question of possible compromise generally,” the email continues. Here the message seems to be related some sort of response from Kortan to CNN. Meanwhile, the McCabe email relates that it was Comey’s very briefing to Trump about the dossier claims that triggered CNN to release its story in the first place, igniting a media frenzy that first made the dossier claims public. This after numerous news media outlets obtained the dossier charges, but were unwilling to release stories on the uncorroborated document. “The trigger for them is they know the material was discussed in the brief and presented in an attachment,” McCabe’s email continued. I take that as a reference to someone has told them that the President-elect was briefed on this controversial stuff, and — yeah, that he was briefed on this controversial stuff and that their knowledge of that is what is triggering them to do the reporting. Mr. Jordan: Now, just to be clear, the material that was discussed in the brief, that’s the brief you gave the President-elect? Mr. Jordan. All right. And somehow someone told CNN that you had done just that? Mr. Jordan. Any idea who told them that? Mr. Comey. Say again, I’m sorry? Mr. Jordan. Any idea who told them that you had actually briefed the President-elect about this subject? Mr. Jordan. It’s been reported that Mr. Clapper may have been involved in giving that information to CNN. Any indication that that’s accurate? Mr. Comey. No. Same answer, I don’t know. McCabe’s email adds fuel to the argument that the leak of the classified briefings gave the news media the opening to report on the dossier’s existence as well as allude to some of the document’s most outrageous claims. In its report, CNN itself noted that the dossier claims were circulating for months among the news media, and that the inclusion of the dossier narrative in the briefings with Trump and Obama gave the charges some credibility. In CNN’s dossier story, the news network cited “multiple U.S. officials with direct knowledge of the briefings” — in other words, officials leaking information about classified briefings — revealing the dossier contents were included in a two-page synopsis that served as an addendum to a larger report on Russia’s alleged attempts to interfere in the 2016 presidential election. Comey confirmed in his latest testimony that the most “sensitive” dossier claims – a clear reference to the outlandish sexual storyline – were briefed to Trump orally and were not included in the written portion. Just after CNN’s January 10 report on Comey’s classified briefings about the dossier, BuzzFeed famously published the dossier’s full unverified contents. The New York Times used CNN’s story on Comey’s briefing to report some contents of the dossier the same day as CNN’s January 10 report on the briefings. 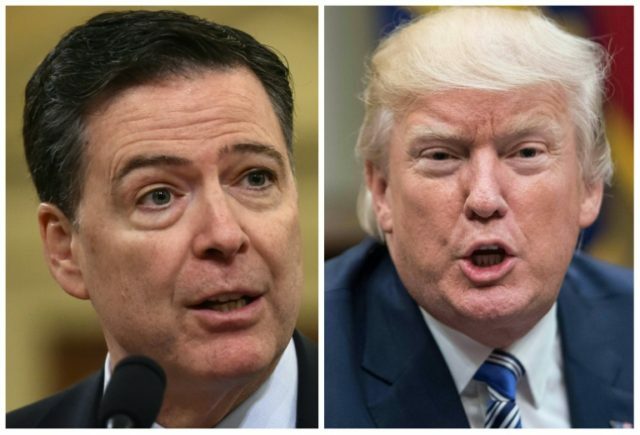 In actuality, Comey’s very briefing to Trump, which was subsequently leaked to CNN, provided the network with the hook to publish its story on the controversial dossier containing the infamous “Russian prostitute” claims as well as unsubstantiated charges of collusion between Russia and members of Trump’s 2016 presidential campaign. In his memoir, published earlier this year, Comey also claimed that CNN was a factor in his decision to include the dossier claims in the classified briefing to Trump and another briefing to President Obama. Still, I could see no way out of it. The FBI was aware of the material. Two United States senators separately contacted me to alert me to its existence and the fact that many in Washington either had it or knew of it. CNN had informed the FBI press office that they were going to run with it as soon as the next day. Clapper’s statement generated fresh media coverage of the dossier briefing. It seems the news media waited for the leak about the dossier briefings first reported by CNN before publicizing the dossier’s existence and some of its contents. Yet Comey has maintained the opposite was the case – that he conducted the briefings because of the possibility of news media coverage.